CPAA represents the formal creation of an advocacy organization comprised of individuals who have informally worked to preserve cultural resources over the past several years. These efforts have been focused primarily on assistance to other non-profit organizations, as well as preservation-oriented research and working with legislative and regulatory officials to protect sensitive landscapes. We also work closely with industry to develop and implement better business practices that will result in greater protection of cultural resources. CPAA is directed by Jerry D. Spangler, a registered professional archaeologist who also manages the day-to-day activities of the organization and is answerable to a 15-member board of directors, all with considerable non-profit, business or scientific credentials. In addition, CPAA is advised by an ad hoc group of archaeologists, historians, environmental scientists, businessmen and attorneys who have pledged their assistance to CPAA, each with a specialized expertise that can further the CPAA mission. CPAA is dedicated to advocacy through sound, legally defensible science that can be utilized to minimize and potentially eliminate damage to cultural and environmental resources that are threatened by various activities on public lands. And as registered archaeologists working under state and federal permits, CPAA researchers have access to archaeological records and site-specific data not otherwise accessible to the public ï¿½ information that is critical to defining the human and environmental landscapes at risk. Through sound scientific research, CPAA examines the degradation of archaeological sites as it relates to road access, unrestricted public visitation, illegal collecting, ORV trails, seismic activities, the cumulative effects of oil and gas development, and other issues related to public access. CPAA also assists public and private entities in the development and implementation of strategies to protect sites of local, regional and national significance, and provide technical assistance to those entities seeking the protection of cultural resources through legal designations. CPAA also works with private entities seeking to develop legal leases on public lands to ensure that their impacts on cultural treasures are minimized. CPAA also believes that public education on the importance and fragile nature of cultural resources is critical to the preservation of these sites for future generations. The organization is committed to the dissemination of information that informs the general public as to threats to cultural resources, educates them as to the significance of these resources and the ethics expected of all who visit these treasures, and assists in the training of professionals in archaeological preservation. This strategy utilizes a combination of internships, newsletters, monographs, peer-reviewed publications, Internet databases and other multi-media approaches. CPAA assists non-profit organizations by conducting technical reviews of Section 106 compliance reports required for actions on federal lands, initiating formal and informal surveys on behalf of non-profit organizations seeking baseline data on the nature and importance of cultural resources, analyzing previous research to determine the scope and significance of cultural resources, and assisting in the development of scientifically based responses to proposed actions on public lands. 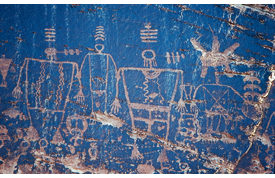 CPAA also assists American Indians and tribal governments in the assessment of archaeological resources significant to native traditions, heritage and way of life; institutions of higher education with archaeological research projects that foster public appreciation for past peoples, places and events; government and private entities in the development and implementation of long-term strategies to protect sites of local, regional and national significance. And some of our most loyal partners have been industry officials, who seek to implement business practices that foster cultural resource protection. Seek formal involvement in the Section 106 consultation process as an interested public. Formal recognition in all matters related to historic and prehistoric properties ensures an independent voice for resource protection. Review Section 106 compliance documentation to ensure that federal law has been satisfied, and to solicit intervention from the Advisory Council when it has been violated or when federal agencies willingly ignore their preservation responsibilities under NHPA and other federal laws. Nominate historic and prehistoric properties, including archaeological districts, to the National Register of Historic Places.